1) Season chicken with pepper, to taste. In large, nonstick skillet over medium-high heat, heat olive oil and cook chicken until fully cooked and juices are clear. Remove chicken from pan and allow to rest 5 minutes before slicing. 2) To make sauce: In small bowl, whisk together honey, chili garlic sauce, rice wine vinegar, soy sauce, peanut butter and water. 3) Add zucchini, carrots, rice noodles and chicken to pan; pour sauce over and toss to coat. Toss in bean sprouts and cabbage. 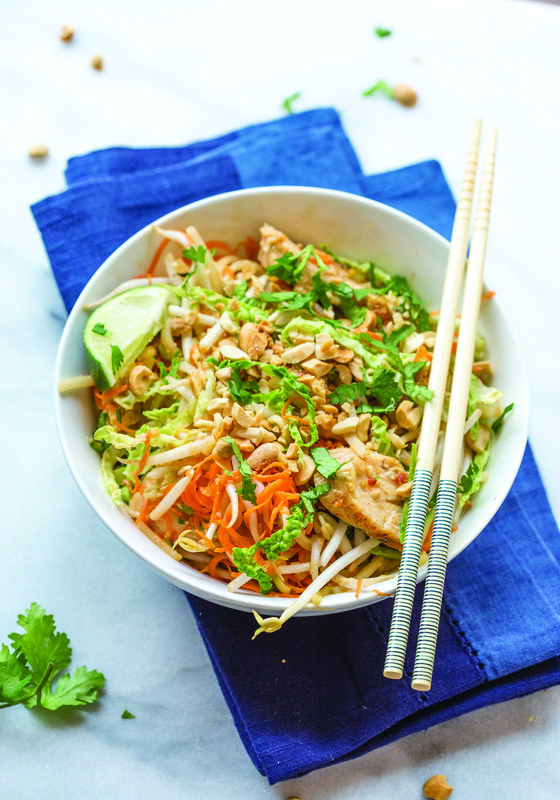 Serve with lime wedge, crushed peanuts and cilantro. 1) In medium bowl, stir together powdered peanut butter, oats, chia seeds, coconut milk and vanilla extract. 2) Divide evenly into mason jars or storage containers and refrigerate overnight. 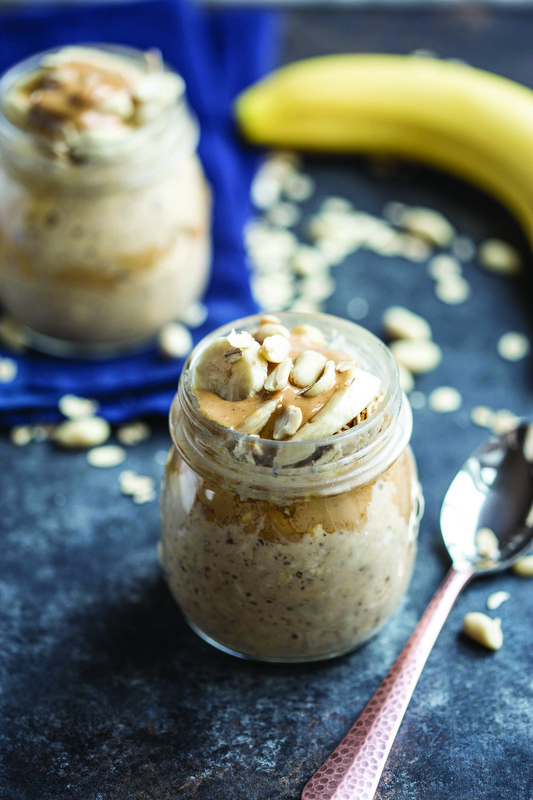 3) Before serving, add banana slices, chopped peanuts and peanut butter to each. 1) Heat oven to 400 F and line baking sheet with aluminum foil. Place salmon on baking sheet, drizzle with olive oil and season with pepper, to taste. Bake salmon 15-20 minutes until cooked through. 2) In small saucepot over medium-low heat, whisk together peanut butter, chili garlic sauce and orange juice, and cook until warm. 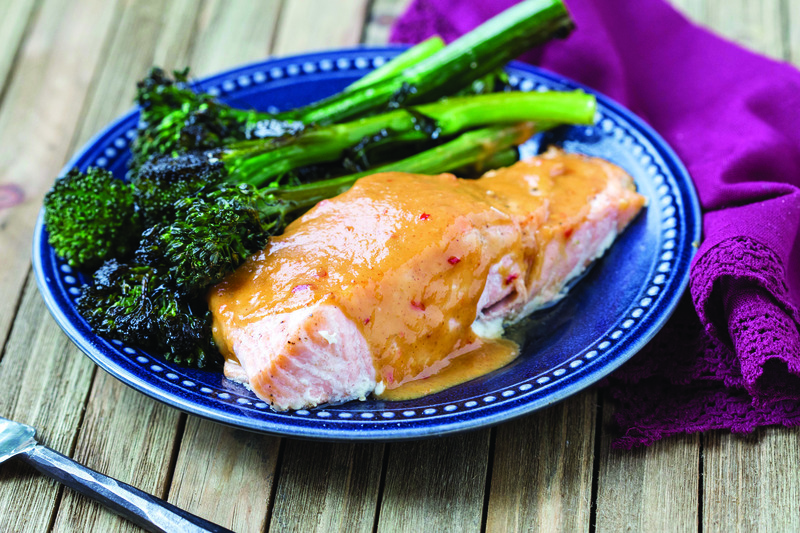 3) To serve, pour peanut butter glaze over salmon. 1) Heat oven to 400 F and line rimmed baking sheet with parchment paper. On prepared baking sheet, arrange butternut squash, Brussels sprouts, onion, garbanzo beans and garlic; toss vegetables in olive oil and season with pepper, to taste. 2) Roast 30-40 minutes until slightly golden in color. Halfway through baking, shake vegetables or turn over to ensure even browning. 3) To make dressing: Mix together lemon juice, water, Sriracha sauce and peanut butter. 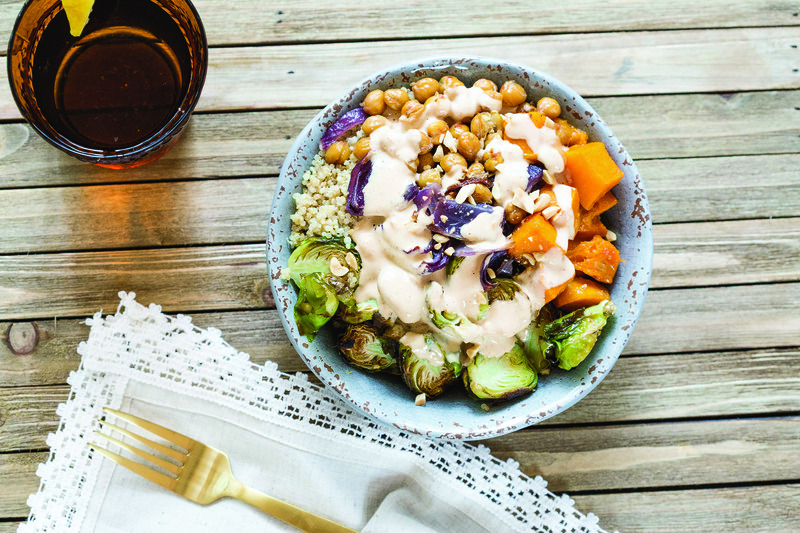 4) To serve, top quinoa with roasted veggies, crushed peanuts and drizzle of lemon-peanut butter sauce.